Straight Line Heating and Cooling has brought the engineering and metal fabrication skills our founder acquired and developed while still in the L.A. area to the Central Coast. 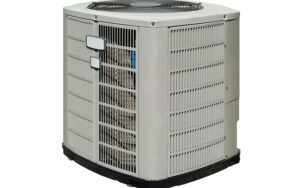 Sydney Goldis added a whole new dimension to the business in 1996, opening the door to the full spectrum of HVAC services the company offers today. Our journey from Los Angeles to Paso Robles has brought big-city skills and techniques to the Central Coast communities, helping to improve the lives of the residents and businesses in the area. With its crucial connection to HVAC, sheet metal fabrication is a vital service that allows us to fully customize your new HVAC system installation. Our ability to fabricate the sheet metal air duct system to the precise specifications required for your home helps to ensure that your new HVAC system will effectively serve your heating and cooling needs for years to come. Our on-site sheet metal shop is fully equipped to handle all the sheet metal fabrication and custom sheet metal work you require for both HVAC and non-HVAC applications. The facility provides all the high-tech tools and equipment we need to create state-of-the-art sheet metal materials you need for your HVAC construction or renovation project. We have the materials to build rain gutters, stove hoods, fireplace caps and a whole host of other sheet metal fabrication products. We’re privileged to operate this facility, which is geared to providing sheet metal design and manufacturing services to our residential customers. We have in-house engineering and design capabilities at our disposal in our well-equipped sheet metal shop. No matter what type of custom sheet metal work you need, we have the means and materials to do the job. Combine these factors with the expertise of our sheet metal fabricators and skilled sheet metal custom work specialists, and you have a successful formula for creating materials for any custom sheet metal application. When you trust your sheet metal project to our qualified experts, you can expect quality workmanship and personalized service. Please get in touch with Straight Line Heating and Cooling today to discuss your sheet metal fabrication and sheet metal custom product needs.